Bucket List? Huh! I’m Turning 50 and I Have a Pooh List. Evil personified! This one took a jandal hostage and wouldn’t give it back until lots of food was thrown at it. Bundi, Rajasthan. You hear the term ‘Bucket List’ bandied about quite often, yes? I was fortunate enough to cotton on at an early age that the world is a fascinating place and I had started a list of countries and things I wanted to see by the time I was 12. Tibet, the Pyramids, Bedouins in Arabia, Castles in England, Frogs in the Amazon, Iguanas in Galapagos, the usual run-of-the-mill stuff. Baby Pooh – check. (A friend and I sat down one day and calculated the average amount of nappies one changes per baby. We worked it out to be about 2000. That makes 6000 I’ve personally been in charge of, approximately 30 percent of which were pooh-laden.) I’m sure you needed to know that. Dog Pooh – check. I haven’t gotten around to counting those ones – I don’t think I want to go there. Cat Pooh – check. Same applies. Rabbit Pooh – check. I went through a stage of breeding Angora rabbits. I didn’t make much selling their wool, but I was very popular with my gardening friends. Chicken Pooh – check. Same applies. Well, not the wool part. My chickens, oddly, didn’t produce any wool. Cow Pooh – check. Lived on a farm for a while and every now and then the blighters got out of their paddocks and into the garden. Cow poohs are bigger than rabbit poohs. I’m sure you needed to know that too. 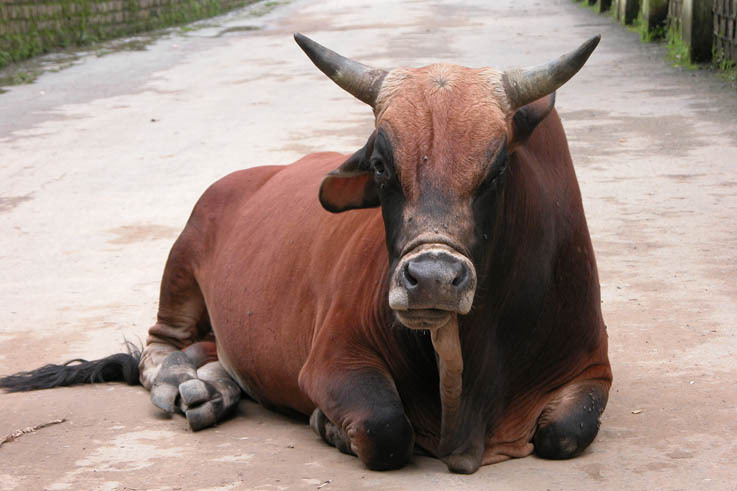 I have stepped in more than one cow pooh while trying to avoid being run over in India. Do what you will, just make sure you drive around me. Donkey Pooh – check. I once communed with a donkey in the Himalayas. He and I came over all Zen and made rock stacks together. 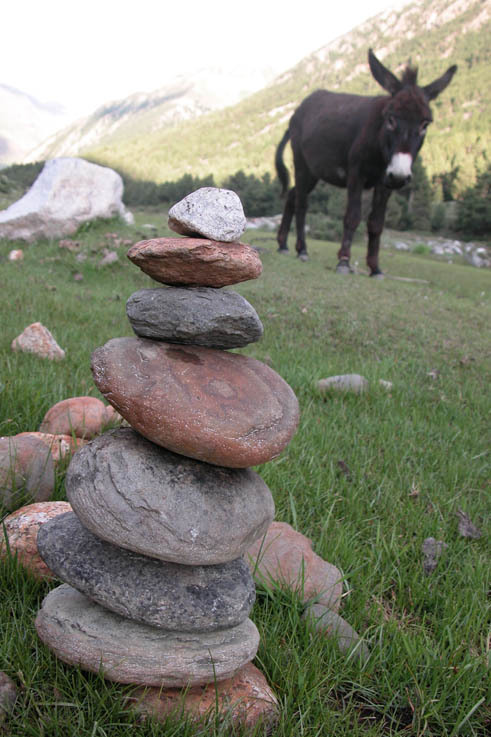 My friend the Zen donkey and the rock stack we make. Chitkul, Himalayas. Chipmunk Pooh – check. Maybe not so exciting for some of you, but we don’t have things like chipmunks in lil’ ol’ New Zealand, so for me it was a thrilling first. Don’t laugh. 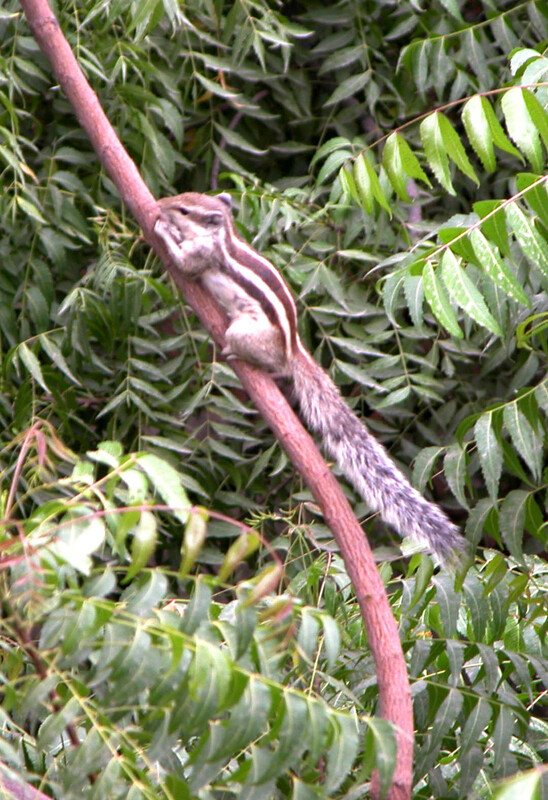 We don’t have squirrels and stuff in New Zealand, so I got all excited when I saw my first chipmunk. Mouse Pooh – check. I’ve lived it rough once or twice. Parrot Pooh – check. We lived in a bus with a parrot of the nectar-eating variety. He spent most of his time outside his cage and on our shoulders. Which made it easy to find his pooh. Rat Pooh – check. Ever been to the New Delhi train station? The rats there are quite large and surprisingly friendly. Well, when I say friendly what I really mean is unafraid of humans and not averse to investigating you or your backpack if either are touching the ground for more than five minutes. Horse Pooh – surprisingly pleasant-smelling. 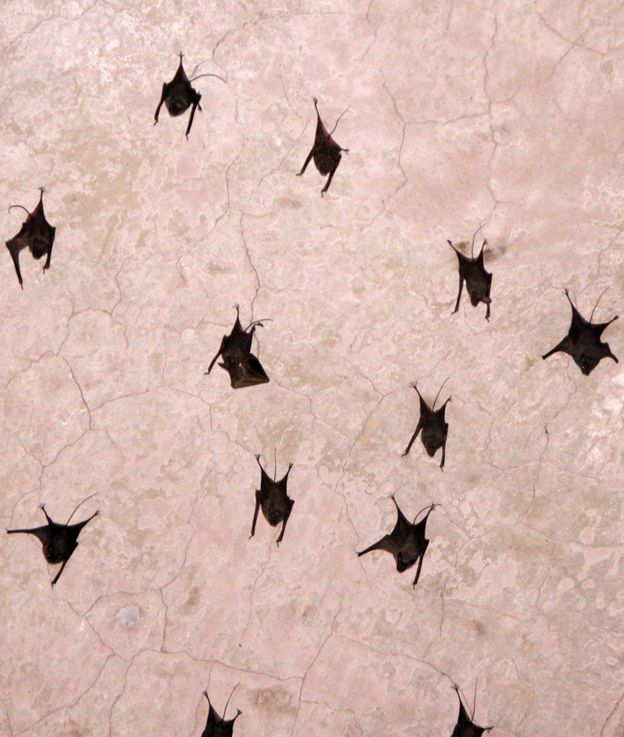 Bat Pooh – check. Amazing what you find when you look Up. Amazing what you miss if you don’t look up. Madhya Pradesh, India. Llama Pooh – check. Damned things can spit too, from ten to fifteen feet away. I don’t want to talk about it. Buffalo Pooh – check. Well, I stepped in some once in Rajasthan. I’m pretty sure that counts. Pig Pooh – check. 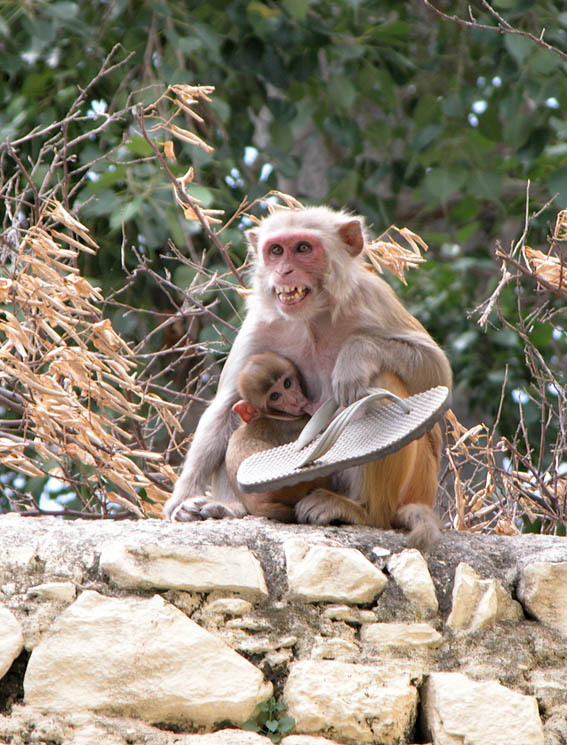 In Bundi, Rajasthan, they’re all over the street, up the alleyways and in the ditches. It’s actually rather hard to avoid pig pooh there. 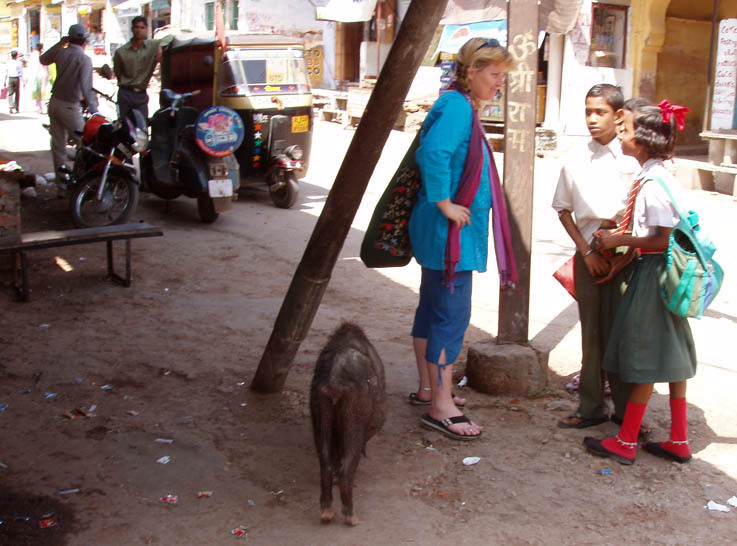 Me getting a little closer to a pig in Rajasthan than I prefer. Camel Pooh – check. Same as the above. Monkey Pooh – check. I’ve had more than one encounter with those particular cousins of ours in India. Not too keen on having another one. Evil creatures, evil! Vulture Pooh – check. 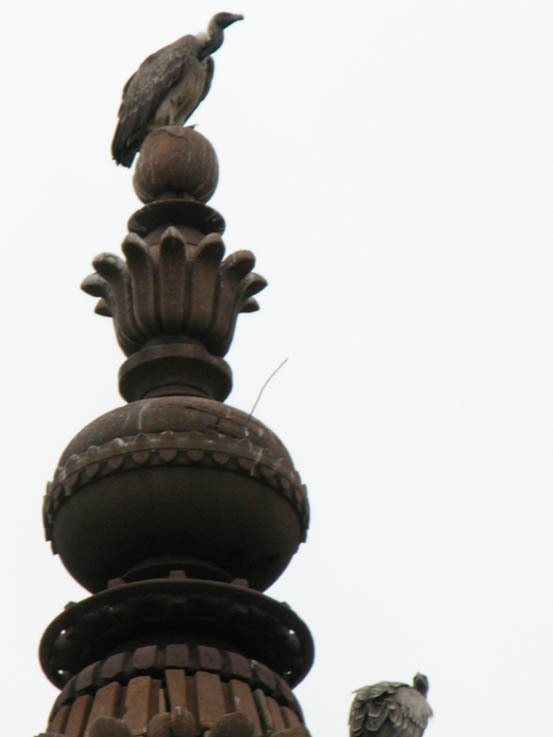 Spent a whole afternoon following them around palace rooftops in Madhya Pradesh. They have skulking down to a fine art! I love how they skulk, just like on the cartoons. Madhya Pradesh, India. Elephant Pooh – check. Shoveled some of that last year at Elephant Nature Park and I’m going back for more shortly. 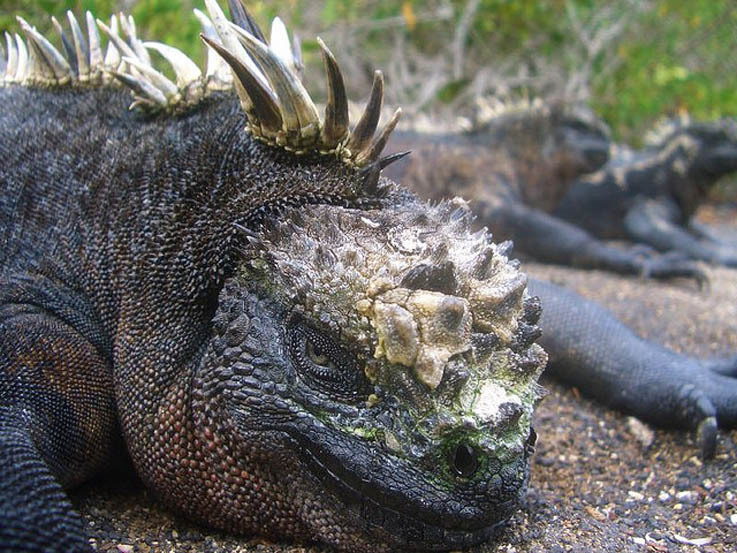 Iguana Pooh – I still haven’t made it to the Galapagos Island. I’m working on it. Ugly, snot-spitting fellows who dive into the water to pick their greens. 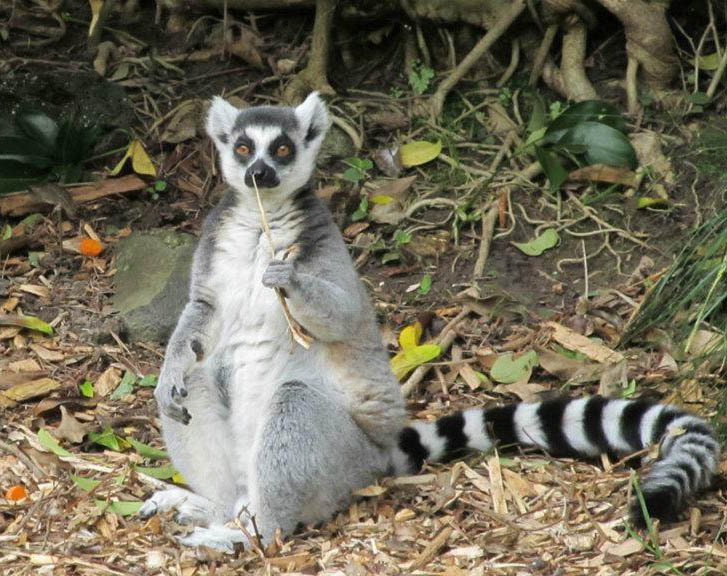 Lemur Pooh – Madagascar. Such insane looking creatures, leaping about sideways looking like mad schoolteachers. How do you talk to them with a straight face? See what I mean about that mad schoolteacher thing? Chameleon Pooh – Madagascar again. I have an absurd jealousy of their ability to look in two different directions at once. Crocodile Pooh – nah, cross that one off. That’ll do for now. I’ll add more as I think of them. I’ll probably think of poohs in my sleep now. I know – romantic, right? Do you have a pooh list too? What are your more unusual ones? Who wouldn’t want to meet one of these guys, right? Photo courtesy of ARKNTINA, flikr. 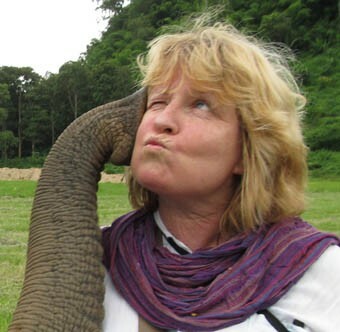 This entry was posted in Elephants, Ravings - random wafflings, Ravings on India, Ravings on New Zealand (Middle Earth), Ravings on Thailand and tagged 50, Animals, bucket list, Elephant Nature Park, Elephants, Himalayas, iguanas, India, monkeys, nature, Pooh, Rajasthan, Travel. Bookmark the permalink. That’s a lot of pooh rave! Btw thanks for being the only blogger to respond to my comments and visit my blog with no hidden agenda; eg. try and promote something. Frustrating like you I want my blogs read and not someone pretending to find them ‘awesome’ but turn out to be an imposter. Btw any tips on how to reach a wider readership? Lol. I wanted to do something lighthearted, after my tearjerking earlier one on street begging elephants. It can really get you down, knowing how much misery other earth-dwellers are suffering. Cheers gr8 advice and you are very good. Anyone who makes me laugh rules ok. It is linked to fb but surely only my ‘friends’ can access it. Surprised you are newish at this, you seem such an old hand and a pro. Sent email to South China Morning Post (official English newspaper for ex-pats/bananasABCs etc) , see if they are interested, would be terrific break. Maybe should train to be a journalist, love interviewing people. Teachers no longer in demand; locals have wised up only having the old or none at all. Will definitely try your suggestions and report back.